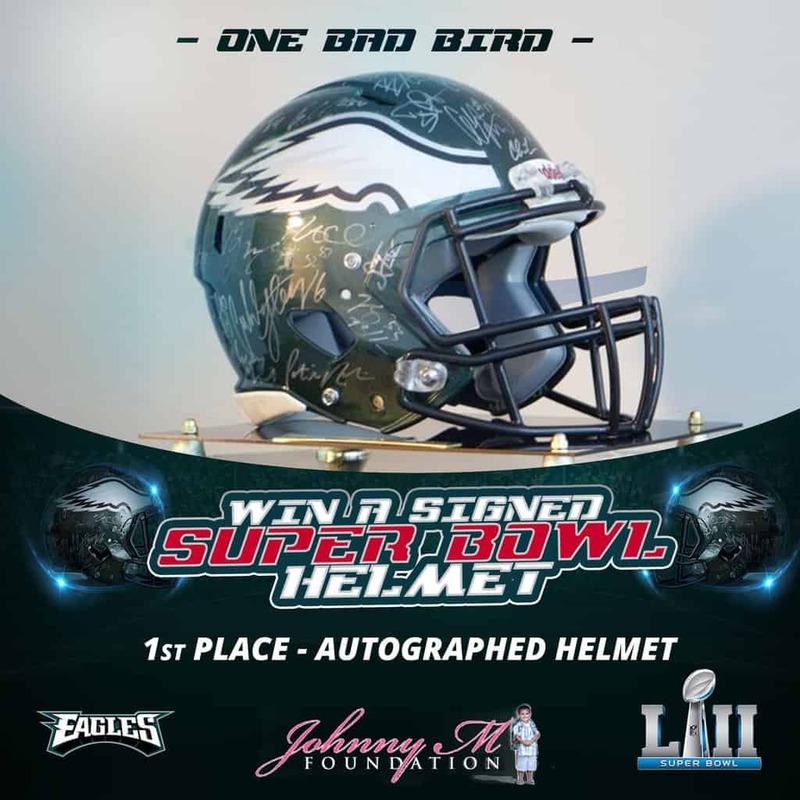 The EveryMerchant Team organized a Super Bowl giveaway with One Bad Bird and the Johnny M Foundation to raffle off a signed super bowl helmet while raising money for the foundation. Our graphic designers created multiple graphics for the giveaway, including this featured image. Our promotional images were used on Facebook, and other social media platforms. Our social media team came up with the campaign and strategy for the giveaway, raising nearly two thousand dollars for the charity from almost one hundred donators. The Johnny M. Foundation is a non-profit organization committed to all children having access to life’s basic necessities during their formative years.